= Nephronaias calamitarum Morelet, 1849. — Bogan (2010). = Nephronaias calamitarum (Morelet, 1849). — Graf & Cummings (2007). + Nephronaias (s.s.) scamnata (Morelet, 1849). — Johnson (1981). = Nephronaias (s.s.) calamitarum (Morelet, 1849). — Haas (1969). = Nephronaias calamitarum (Morelet, 1849). — Goodrich & van der Schalie (1937). 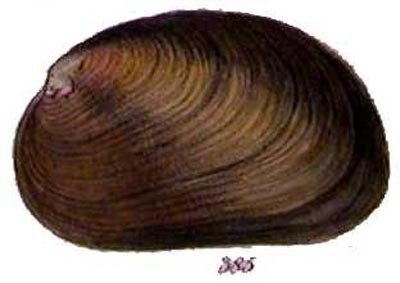 = Elliptio (Nephronaias) calamitarum (Morelet). — Haas (1929). 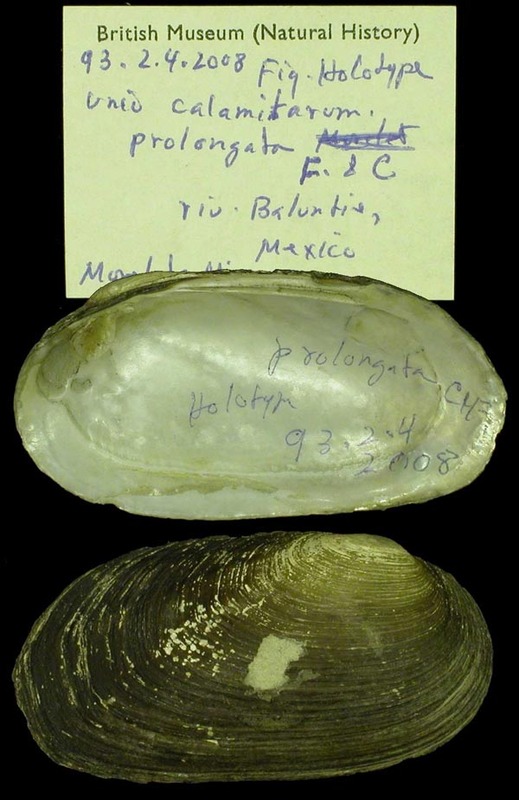 + Elliptio (Nephronaias) rugulosa (Charpentier in Küster). — Haas (1929). 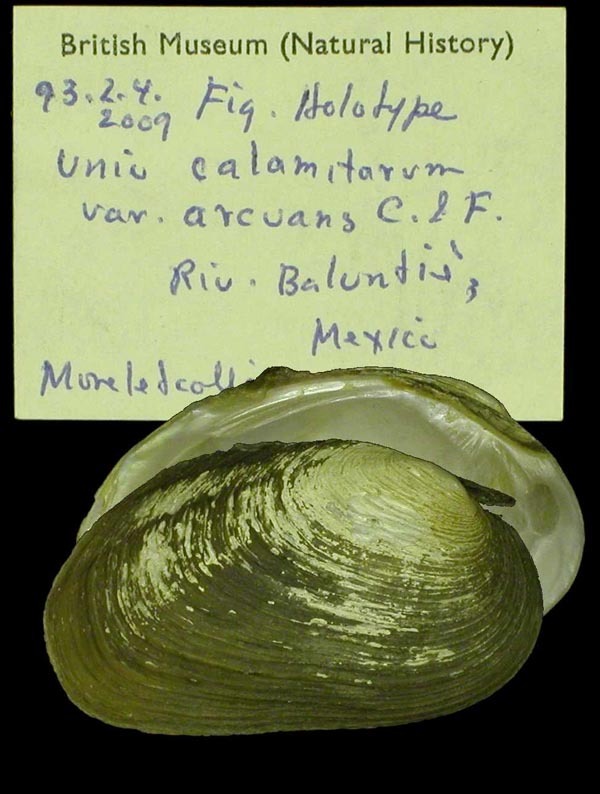 = Elliptio (Nephronaias) calamitarum (Morelet, 1849). — Frierson (1927). + Elliptio (Nephronaias) dysoni (Lea, 1859). — Frierson (1927). + Elliptio (Nephronaias) persulcatus (Lea, 1859). — Frierson (1927). Morelet, 1849, Test. Nov.: 30. Type(s): LECTOTYPE BMNH_93-2-4-2010, Baluntie, near Palenque. ‘Morelet’ Lea, 1852, Synopsis Fam. Naiades: 39. ‘Morelet’ Lea, 1870, Synopsis Fam. Naiades: 63. Lea, 1859, Proc. Acad. Nat. Sci. : 153. Lea, 1860, Jour. Acad. Nat. Sci. : 255 , pl. 40, fig. 135. ‘Morelet’ Sowerby, 1868, Conch. Icon. : pl. 74, sp. 385. Unio calamitarum var. B prolongata Fischer & Crosse, 1894. Fischer & Crosse, 1894, Miss. Sci. Mexique, Rech. Zool. : 613, pl. 63, figs. 5-5a. 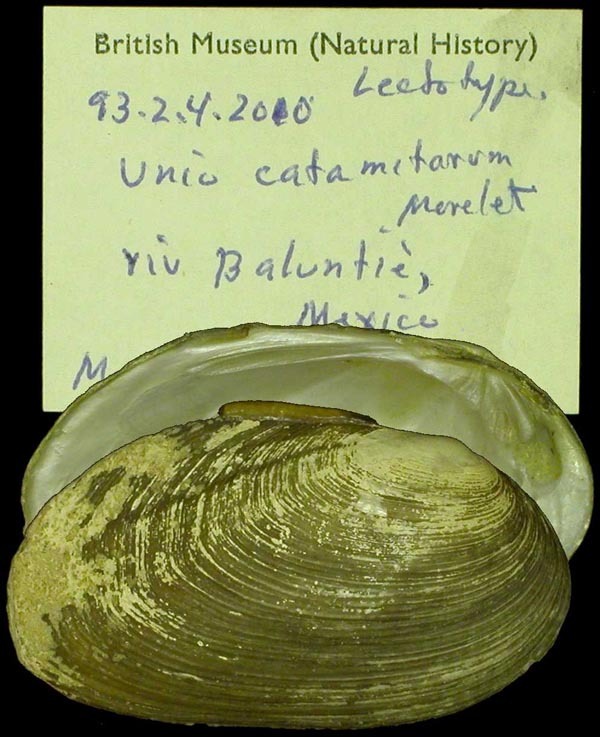 Type(s): HOLOTYPE BMNH_93-2-4-2008, Baluntie, near Palenque. Unio calamitarum var. 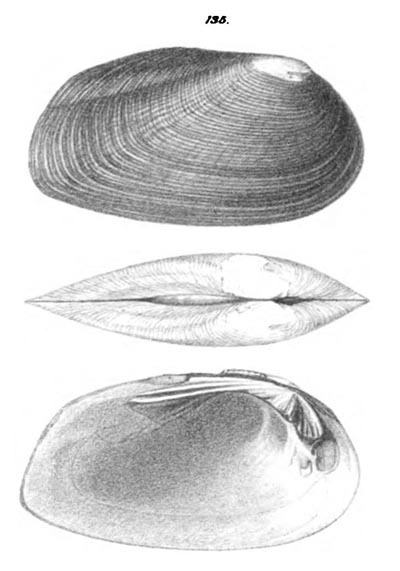 D nephretica Fischer & Crosse, 1894. Fischer & Crosse, 1894, Miss. Sci. Mexique, Rech. Zool. : 612. Unio calamitarum var. G arcuans Fischer & Crosse, 1894. Fischer & Crosse, 1894, Miss. Sci. Mexique, Rech. Zool. : 612, pl. 64, figs. 5-5a. 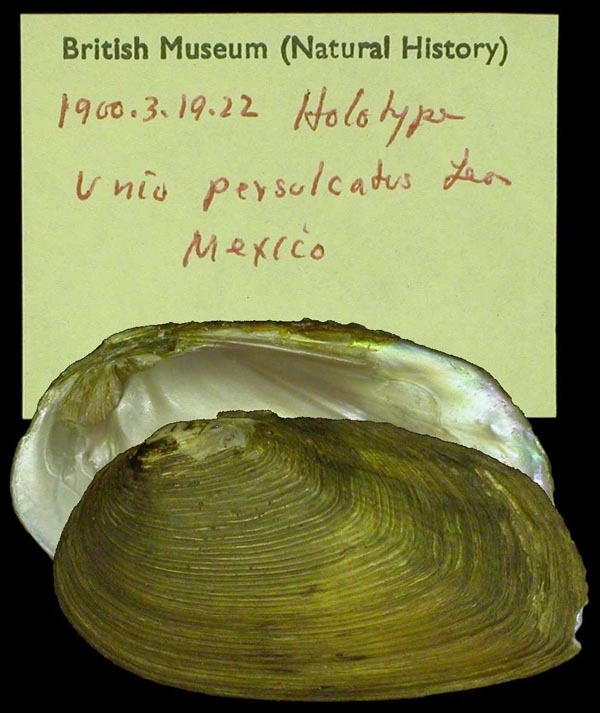 Type(s): HOLOTYPE BMNH_93-2-4-2009, Baluntie, near Palenque. ‘Morelet’ Simpson, 1900, Proc. U.S. Nat. Mus. : 596. Unio calamitarum var. nephritica Martens, 1900. Unio calamitarum var. prolongus Frierson, 1927. ‘C. & F.’ Frierson, 1927, Check List N. Amer. Naiades: 36.